His Royal Highness, The Duke of Edinburgh has long been a lover of the sea, and an ardent supporter of British scuba diving and the British Sub Aqua Club. In 1939, Philip Mountbatten joined the Royal Navy, graduating from the Royal Naval College, Dartmouth, in 1940 as "the best cadet in his course". His prize? A £20 book token. He subsequently saw active service in the Indian Ocean and the Mediterranean during WWII. In 1941 Philip Mountbatten was mentioned in despatches for his service on battleship HMS Valiant. And he was in Tokyo Bay in 1945 when the Japanese surrendered. In 1947, Princess Elizabeth married Prince Philip of Greece and Denmark. Philip abandoned his Greek and Danish royal titles and was created Duke of Edinburgh. The Royal couple initially enjoyed a simple married life during stays on the island of Malta, where the Duke was stationed with the Navy. This changed forever when George VI died on 6 February 1952, and Princess Elizabeth became Queen of United Kingdom and other Commonwealth realms. Prince Philip now had a new role to play. He gave up a promising naval career to support his wife in her royal role. Philip's first ever private secretary Michael Parker, a friend from the Navy, stated "He told me the first day he offered me my job that his job, first, second and last was never to let her down." When Prince Philip turned 90 in June 2011 the Queen bestowed on him a new title - Lord High Admiral, titular head of the Royal Navy. A touching tribute to a man who had given up his naval career to support his wife, and devote himself to royal service. BSAC was established in London in 1953 by entrepreneur Oscar Gugen, ten years after Jacques Cousteau’s first aqualung dives. On 15th October 1953, 100 divers attended an inaugural meeting at the Waldorf Hotel in London where it was agreed that that ‘the title of the association of persons interested in underwater activities shall be the British Sub-Aqua Club.’ BSAC was born. Seven years later, The Duke of Edinburgh visited the Brighton Sub-Aqua Club conference, where Oscar Gugen and Colin McLeod approached Prince Philip. They asked him to become BSAC's President. Prince Philip agreed and gave the club his Royal seal of approval. Prince Philip was subsequently BSAC's President until 1963. In 1974 HRH The Prince of Wales took over the presidency of BSAC. At the time Prince Charles was known to be an action man and an active diver. The Prince dived in all sorts of environments. From the English Solent observing the underwater archaeology works on the wreck of the Mary Rose to exploring under arctic ice. On 10 May 2014 Prince William, grandson of Prince Philip and son of Prince Charles became President of the British Sub Aqua Club. In 1977 Britain and Queen Elizabeth II marked the 25th anniversary of her accession to the throne of United Kingdom and other Commonwealth realms with Silver Jubilee celebrations. In the same year the official charity of the British Sub-Aqua Club - 'The Jubilee Trust' - was set up. The main objective of the charity was to provide financial support to divers for a wide variety of projects that fell beyond normal branch and club activities. 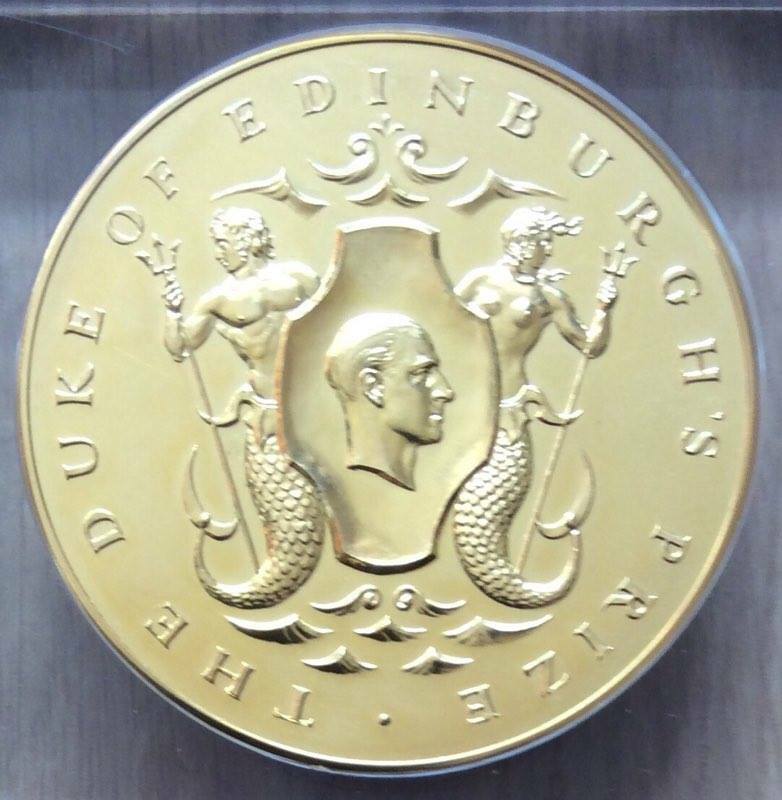 The Duke of Edinburgh annually assesses three short-listed accounts of expeditions or other activities of diving merit, passed to him by the Jubilee Trust. From these he chooses a prize-winner, presenting them with a unique medal and personally signed certificates. And if approved, personally signed 'Highly Commended' certificates are presented to the other two projects. The members of the three short-listed projects are invited to attend Buckingham Palace, where they are presented with their certificates by the Duke of Edinburgh. Whilst writing this article I reached out to cave explorer and technical diving instructor Michael Thomas. Thomas lead the team that won the Duke of Edinburgh Prize award in 1997 for their exploration support work in the Doux de Coly cave system in the Dordogne. 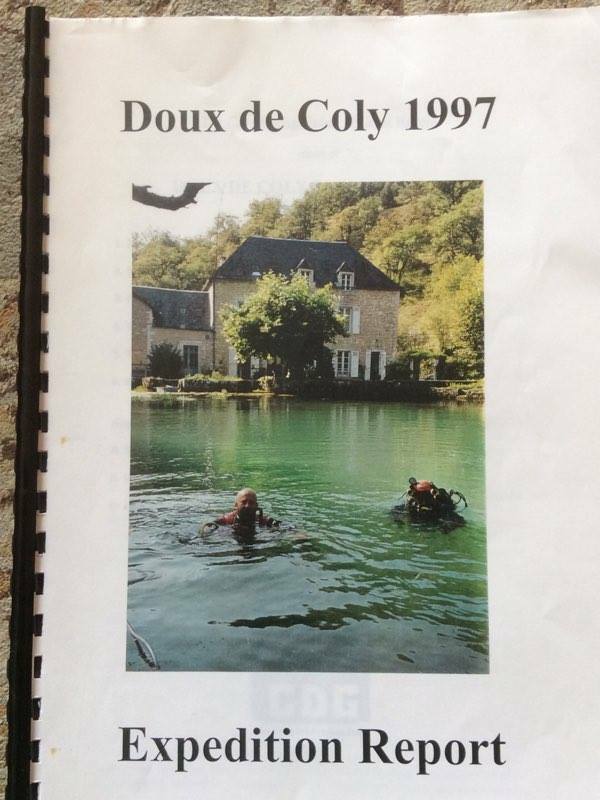 During the 1990's, Swiss cave diver Olivier Isler was pushing the French Doux de Coly cave system with the support of many international divers, including the Brits. Isler was using a rebreather for much of his exploration work. In fact he was an early adopter of this technology. It was cutting edge CCR diving. Isler dived a bespoke machine that was actually two rebreathers in one, nicknamed the RI2000 rebreather. It was built by Isler and a French engineer by the name of Alain Ronjat, hence R = Ronjat, I = Isler. "When it comes to running an expedition, no matter how prudent you are, there are always costs. We therefore applied for a number of grants to help support the British involvement in Isler's record breaking exploration" stated Michael Thomas. "We were fortunate enough to receive a number of grants - £400 from BSAC's Jubilee Trust, £275 from the Foundation of Sports & Art, £200 from the Ghar Parau Foundation and £500 from the Lloyds Charity Trust. This money was spent on transport, camping, rescue insurance, oxygen, helium, compressor fuel and photographic materials. Unfortunately 1997 was not a good year for Isler. He hit the roof of the cave and badly damaged the rebreather approximately 2,500 mt / 8202 ft from the entrance of the cave. As many of us who could, returned to the site in July 1998 where Isler reached 4,300 mt / 14,107 feet during a three-week project. From memory there were about 40 people involved. On our return from the 1997 expedition, we wrote a long report and submitted it to the Jubilee Trust. 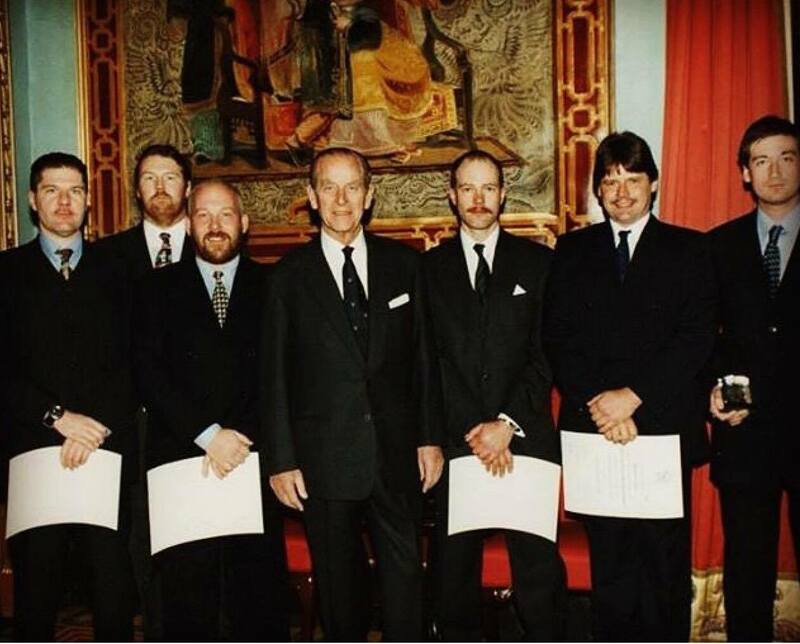 A number of months later we were invited to the Palace, along with two other projects to meet Prince Philip. He spent about 15 minutes talking with each group. 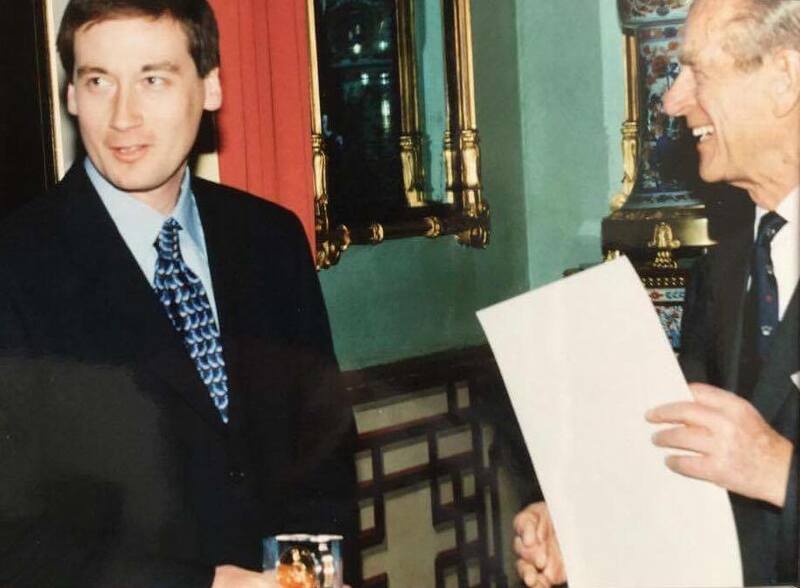 The one thing that stands out about meeting Prince Philip, even now 20 years on, is that it was obvious he had read our report. He was asking us intelligent questions that he could not have known about, if he had not read our report. We then found out to our delight that we had won the 1997 Duke of Edinburgh prize. It was a big honour and I still treasure the medal I was given." Earlier today - Thursday 4th May 2017 - Buckingham Palace issued the following statement. "The Duke of Edinburgh has decided that he will no longer carry out public engagements from the autumn of this year. In taking this decision, The Duke has the full support of The Queen. 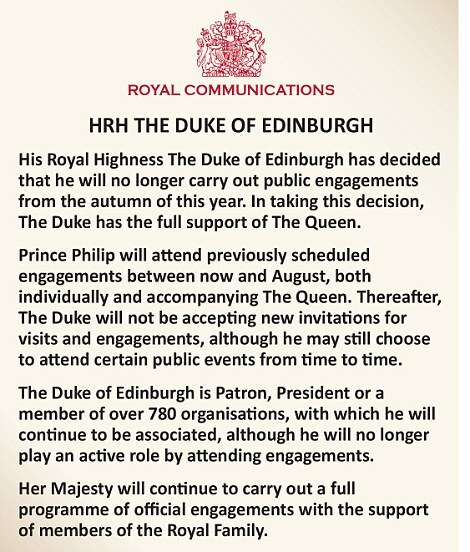 The Duke of Edinburgh is Patron, President or a member of over 780 organisations, with which he will continue to be associated, although he will no longer play an active role by attending engagements". At the time of writing this article we do not know what level of involvement the Duke of Edinburgh will continue to have with the Jubilee Trust. We do know he will remain as patron, president or member of the 785 organisations he has links to - for as long as he is able to. 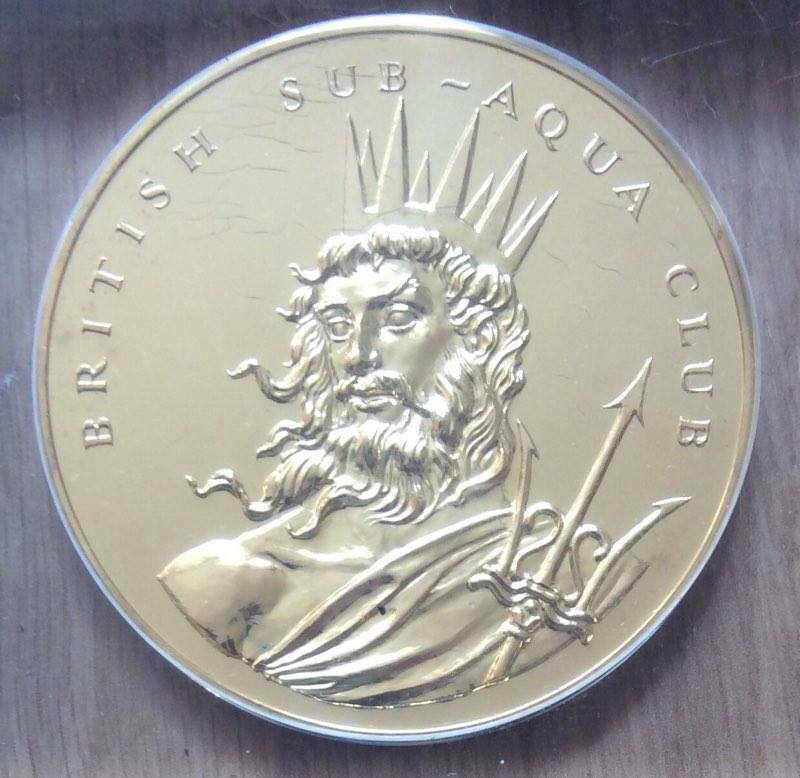 Prince Philip remains an Honorary Life Member of the British Sub Aqua Club. In closing, it is only fitting to say thank you for your almost 70 years of service Prince Philip. And thank you for championing scuba diving and exploration. We appreciate your support. And we will miss you.